Perth’s isolated location, almost as close to Bali as Australia’s eastern state capitals, means it’s developed its own distinct personality, centred around outdoor-living and a laid-back vibe. Not only does it boast a stunning coastline, where you’ll find some of Australia’s best beaches, it also clocks up around 3,000 hours of sunshine a year, more than any other city in Australia. 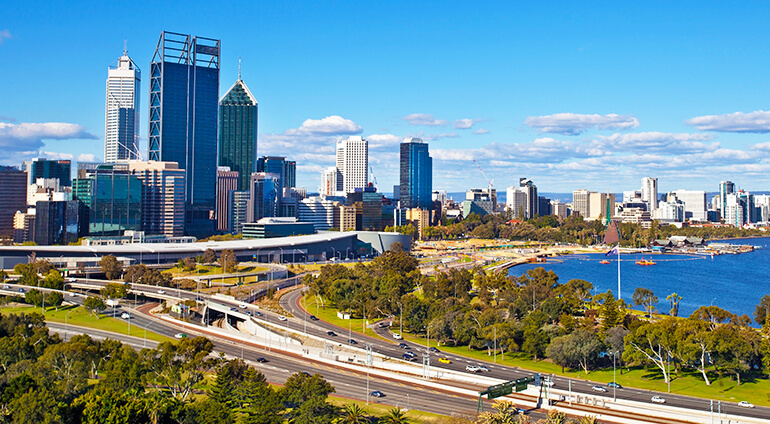 A city in the midst of a population boom, Perth’s home to a growing number of great attractions, restaurants and bars, while still retaining its relaxed and informal charm. Often grouped together with Perth thanks to its close proximity, is Fremantle, a hip little hub to the south with some good architecture and sights worth crossing the river for.